Bancroft was signed as overseas player by Somerset. Photo Credit: Getty Images. Australia all-rounder Moises Henriques has leaped in defense of under-fire skipper Steve Smith. 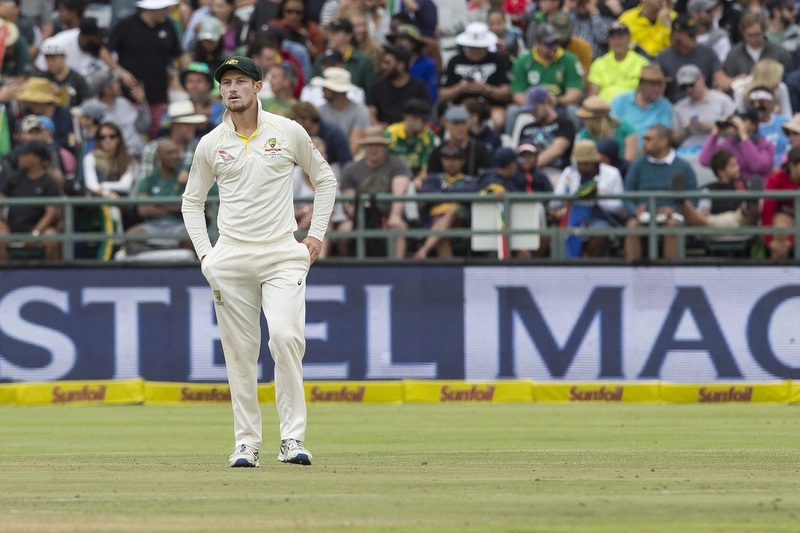 The Australia skipper has found himself at the center of a storm following the sensational ball tampering controversy in the Cape Town Test. The controversial incident took place on the third day of the game at Newlands. Australia opener Cameron Bancroft was captured using yellow tape to scruff up the ball. Once the broadcasters repeatedly aired the footage and even displayed it on the giant screen, Bancroft was seen slipping the yellow tape inside his trousers. The controversy then took another turn when Smith and Bancroft sensationally admitted that they had pre-planned the whole thing. Smith revealed that the ‘leadership group’ of the team made plans to change the condition of the ball. “THE LEADERSHIP GROUP KNEW ABOUT IT. WE SPOKE ABOUT IT AT LUNCH,” SMITH had SAID. “I AM NOT PROUD OF WHAT’S HAPPENED. IT’S NOT WITHIN THE SPIRIT OF THE GAME. MY INTEGRITY, THE TEAM’S INTEGRITY AND THE LEADERSHIP GROUP’S INTEGRITY HAS COME INTO QUESTION. IT WONT HAPPEN AGAIN. On the very next day, Smith had stood down as Australia’s Test captain. He was also banned for one Test by the ICC. On the other hand, Bancroft accumulated three demerit points. But while Smith is receiving widespread criticism for his role in the controversy, he has received some much-needed backing from Henriques. The all-rounder feels that Smith took the blame on himself to save the youngster. “Ps. Not saying no one was aware of Cameron doing it, just highly doubt there was a ‘senior players meeting’ to decide to cheat. I think it was the captain attempting to protect a young player. They had 10 mins of panic between end of play & press conference,” he tweeted.